Chile might be the thinnest country in South America, but it is still famous as one of the most geographically diverse nations on the continent. It boasts of fascinating natural beauty that is sure to be the highlight of your Chilean adventure. From rich snowcapped mountains to vast arid deserts, from craggy glaciers to beautiful salt marshes, the wonders of Chile are seemingly endless. And once you get tired of all that natural beauty, hop over to one of the major cities such as Santiago for some of the hottest nightlife and best cosmopolitan delights on the planet. 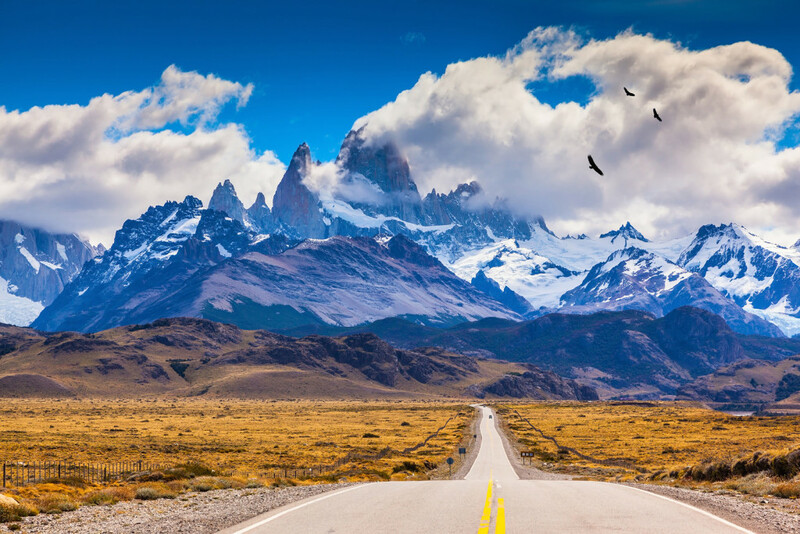 Almost every destination you encounter in this country looks fantastical, but there are a few things to do in Chile that you simply cannot leave out from your itineraries. If you for some reason are not going to Chile right away, but are going to visit other destinations around the world, please be informed that you can easily Book Things to Do around the World. You can also find a lot of articles informing about the best things to do around the world, via their Bookmundi Blog . Any trip to Chile is likely to start from Santiago de Chile, as all major international flights land here. 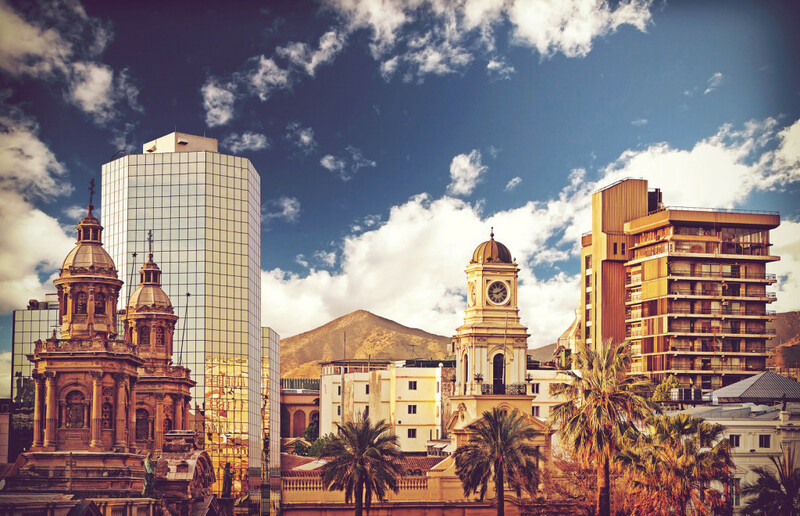 You might be tempted to look at Santiago as a simple layover before you proceed to those more exotic destinations located all over the country. But, that’s where most people get it wrong. Santiago is truly an incredible city and it certainly warrants a couple of days. 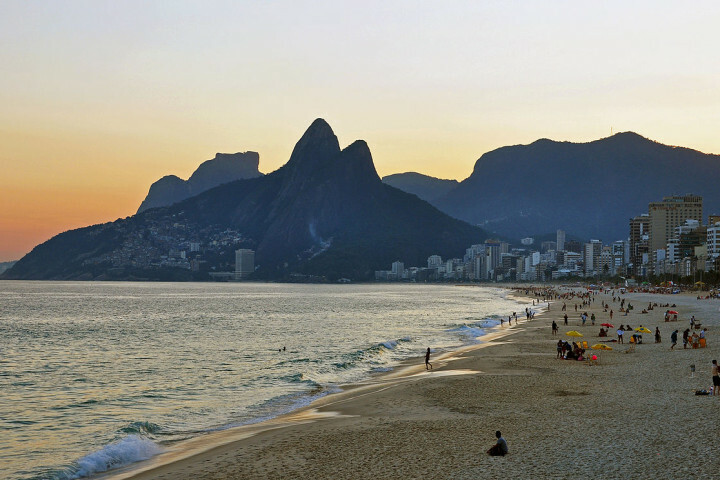 It boasts of a spectacular nightlife and is also home to a number of interesting museums as well. Among other things, don’t forget to check out the largest swimming pool in the world while in Santiago. The pool is a part of the Alfonso Del Mar Resort, located in Algarrobo, a 2-hour drive from the Chilean capital. Parque Nacional Lauca is an enchanting region that is full of lakes and snow-capped volcanoes and is spread over 340,000 acres of untouched parklands that are simply waiting to be explored. Considered to be one of the most stunning things to do in Chile, Parque Nacional Lauca is bound to feature on most Chilean adventure itineraries. Some of the biggest highlights include the Parincota Volcano, a dormant volcano that is located close to Lago Chungaro, one of the most scenic lakes in the country. Other areas worth exploring include the lava fields and volcanic calderas. Atacama Desert, the driest desert on the planet, is famous for having areas that haven’t seen a drop of rain in more than 400 years! Its sprawling landscapes are ringed by volcanoes and are full of ancient abandoned houses, beautiful salt marshes and lake oases. The desert’s remote location and lack of pollution combined with its 8000 ft. elevation makes it a haven for stargazers, for you can easily spot many a constellation in the night sky. For the best Atacama experience, make the town of San Pedro de Atacama your base and seek out sights like the Valle de la Luna, dinosaur valley, Atacama Salt Flat, Salar de Atacama, abandoned mining towns and geysers. Insider Tip – Vale de la Luma, or Valley of the Moon, is particularly spectacular. It has been created as a result of centuries of floods and winds interacting with the local stone and sand, making the area mimic the surface of the moon. The Lake District is one of the most beautiful regions in Chile that is popularly known as the Switzerland of South America. Its lush green landscapes, fabled blue lakes and snow-capped mountains create the perfect settings for a romantic and fun filled adventure. Base yourself in Pucon, a small town that is located right in the midst of the Lake District. The town boasts of an unrivaled location and offers all sorts of adventure activities such as snow skiing, kayaking, water skiing, horseback riding and white water rafting. Climbing the Villarrica volcano and lapping around natural hot springs are other popular things to do here. The Concha y Toro Wine Experience Tour takes you to the incredible Concha y Toro Winery. The adventure starts as you drive through the stunning wine country landscapes and your excitement begins to peak the moment your eyes fall on the winery’s grand entrance. After exploring the family mansion, you’re taken for a tour of the Pirque Vineyards where you can find out more about the growth and development of wines. The Pirque Terraces located around you host centuries of history and there is nothing better than sampling the old world Casillero del Diablo Carmenere wine. Finally, end your tour with an interesting wine tasting event, where you get to pair premium wines with delicious cheeses and elaborate appetizers. Interesting Fact – You also get to visit Casillero del Diablo, popularly called the Devil’s Cellar, during your tour. The cellar is the source of all those Chilean wine legends that are told and retold all over the world. Easter Island, one of the most mysterious islands on the planet, has always attracted visitors with its peculiar stoic moai statues that circle the circumference of the island. You might have seen these statues many a time on television or in travel blogs, but checking them out in person is sure to leave you feeling amazed and inspired. 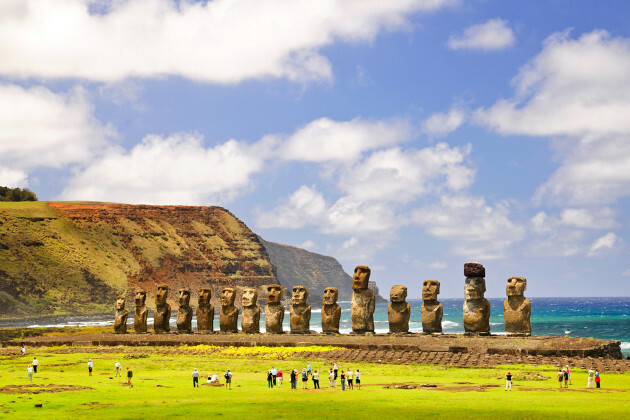 There are close to 800 odd statues that were carved out of volcanic rock by the ancient Rapanui people, but how they were transported from the inland areas to the coastal regions and why they were carved still remains unanswered. Other attractions include horseback riding, scuba diving, exploring the volcanic crater and snorkeling. Insider Tip – The only way to travel to the Easter Island is through Santiago or Peru and LAN Airlines is the only airline to offer services to the island. Valle de la Luna, also known as the Valley of the Moon, is a destination that you simply must visit while in Chile. We may have already mentioned this attraction as a part of the Lake District, but it’s imperative that we mention it again, lest you end up overlooking its importance and miss out on one of the most amazing experiences of your life. As mentioned before, the area mimics the moon’s landscape, and is famous for its spectacular sunsets that are best seen from the top of one of those giant sand dunes. As the sun sets in the horizon, the lunar landscape suddenly transforms into a profusion of pinks, golds and purples, and this is a sight that simply cannot be explained in words. The Valle Nevado, a popular ski resort that boasts of close to 7000 hectares of skiable terrains, has been modeled after one of those European ski setups. It is the largest of its kind in South America, and is also famous as one of the best-maintained resorts in Santiago. There are 13 chairlifts, surface lifts and an 8-person gondola to take you to start points that range between 2860m and 3670m. Other attractions include heli-skiing, off-piste action and a snow park. Los Pinguinos Natural Monument, located on the Magdalena Island, is the largest penguin colony in Southern Chile. It hosts more than 120,000 Magellanic penguins and is particularly famous for its picturesque red colored lighthouse. A trip to the Los Pinguinos Natural Monument is a must for bird lovers and nature enthusiasts visiting Chile. Insider Tip – The birds come back to the island between the months of September and October to find their mates. They return to the sea by the end of March. Santiago, the capital of Chile, is best explored on a 3-hour guided tour that brings you closer to many of its star attractions. 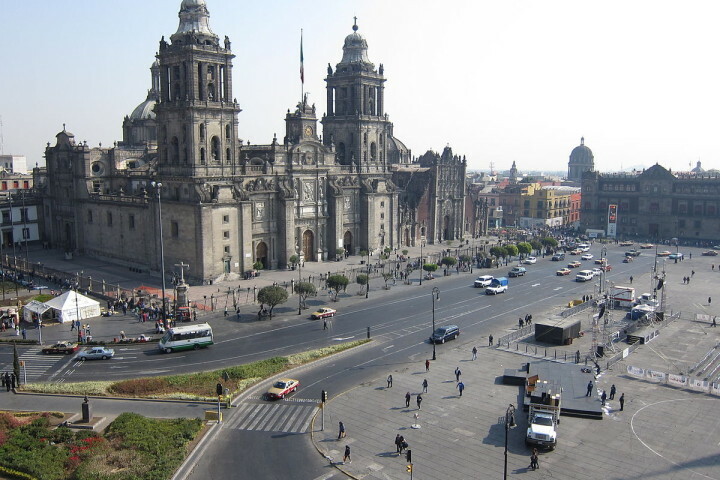 This tour lets you uncover the capital’s rich heritage through beautiful monuments such as the Santa Lucia Hill, La Moneda, Plaza de Armas, Club Hipico, Santiago Metropolitan Cathedral and the Post Office. You will also be offered a chance to enjoy local lunch at locations such as the Shopping Center or the Central Market. Interesting Fact – The Cerro San Cristobal, the city’s largest peak and its most popular lookout, is one of the star attractions of your journey. The hill is home to a massive 72-foot statue of Virgin Mary as well as a beautiful church. Patagonia is one of the main reasons why Chile is called Switzerland of the South. Patagonia is located on the southern frontier of South America and is famous as a place where nature is allowed to run wild and free. Its emptiness always impresses newcomers and those jagged peaks never fail to amaze and delight travelers. 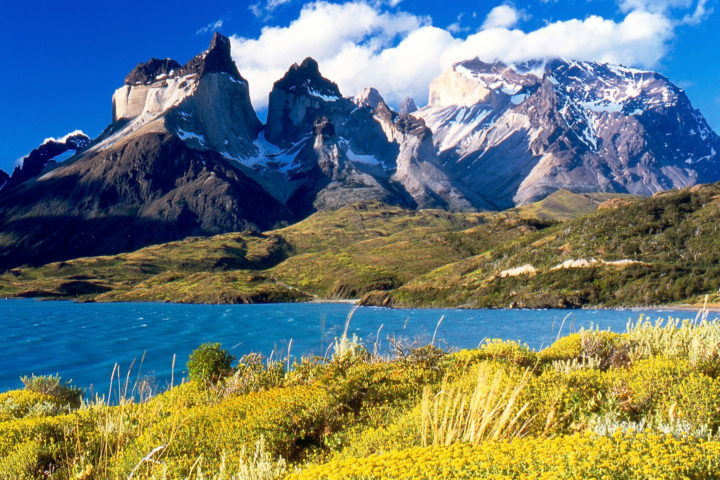 The Torres del Paine National Park is Patagonia’s star attraction. It is full of glaciers, lakes and mountains and its main highlight are those three majestic granite peaks, the Towers of Paine. Spend ample time exploring the park, but don’t miss out on sights like El Calafate and El Chaltén or off-the-beaten-path cities like Chiloe either. El Tatio Geysers, the third largest geyser field on the planet, is surrounded by alluring volcanoes and fed by more than 100 gassy fumaroles and 80 splashing geysers. It is recommended to dress in layers as it can be extremely cold at sun break, but equally hot by the time you’re done with your geyser adventure. Insider Tip – The ideal time to check out the geysers is at 06.00 AM, so make sure you sleep early the night before your El Tatio Geysers tour. We hope the above article gave you a lot of great ideas for what to visit when in Chile. If you don’t feel the above top 12 best things do in Chile is sufficient, please do not hesitate to leave a comment below and let us know if there are other attractions, things to do, or destinations to visit while in Chile.